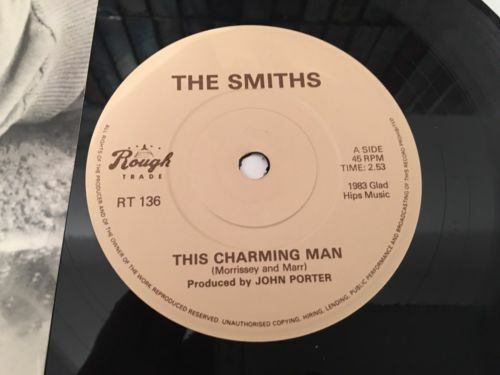 One of the holy grail’s of Smiths collecting, This Charming Man, original 1st Pressing with solid centre & glad hips credit, no anti-slip serrations. Supposedly rejected as Morrissey didn’t approve of the solid centre design. Comes in glad hips Manchester sleeve. This is a genuine archive copy which has been stored away since day dot, and never played. Grab yourself a piece of history! Happy bidding!